Ever since Cousin Stizz got his own special on Noisey, I’ve been following his career and music closely. There was just something about his sound that drew me to it and while I didn’t love everything he put out on his first two mixtapes, there were signs of something special and I was excited to see what he could do with his first major release, One Night Only. If Noisey hadn’t told me he was from Boston I would never have been able to place him. For one, Boston rap doesn’t have much of a distinct sound and two, his music has always sounded like an amalgamation of different regions. In some cases that can be a bad thing but I think here he’s been able to turn all those different influences into a sound all his own. He’s still a relative newcomer to the game and it shows as he still hasn’t developed much depth to his music, but in terms of purely good vibe music you can do much worse than One Night Only. “Lambo” and “No Ice” in particular get regular spins in my rotation. It’s a fine project that won’t take him over the top but it will help push him further into the mainstream. Have you heard One Night Only? What’d you think about it? Do you think he needs to develop more depth with his music to take it to the next level? Let me know in the comments below and be sure to leave your own ratings and reactions for the album. 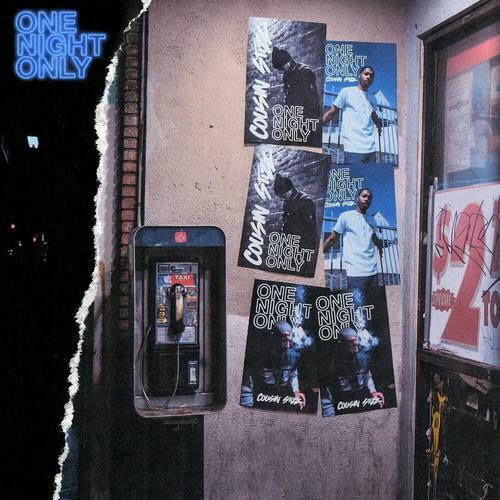 One Night Only is a project full of great vibes and catchy hooks but it still lacks much of the depth or out of the box creativity that will be needed to take his career to the next level.